Kuwait: Turkish Airlines, Europe’s best airline for the sixth year in a row* is providing its guests from all over the Middle East with special fares to Istanbul, Turkey. Starting from today and until October 27th, travellers from the Middle East which includes the countries of UAE, Saudi Arabia, Kuwait, Qatar, Bahrain, Oman, Iraq, Lebanon and Jordan can book these special fares to Istanbul to travel between October 17 – March 31. Passengers will be able to choose from 786 weekly flights in the Middle East and especially in the GCC region, in which flights from Dubai, UAE and Jeddah, KSA start for as less as AED 1519 and SAR 1089 respectively (including taxes and fees). Other appealing flights include flights from Kuwait for KWD 59, Doha, Qatar for QAR 980, Bahrain for BHD 99 and Muscat, Oman for OMR 159. From October to April, several events, festivals, concerts, bienals are held in Istanbul, which are frequented by travellers from all over the world. 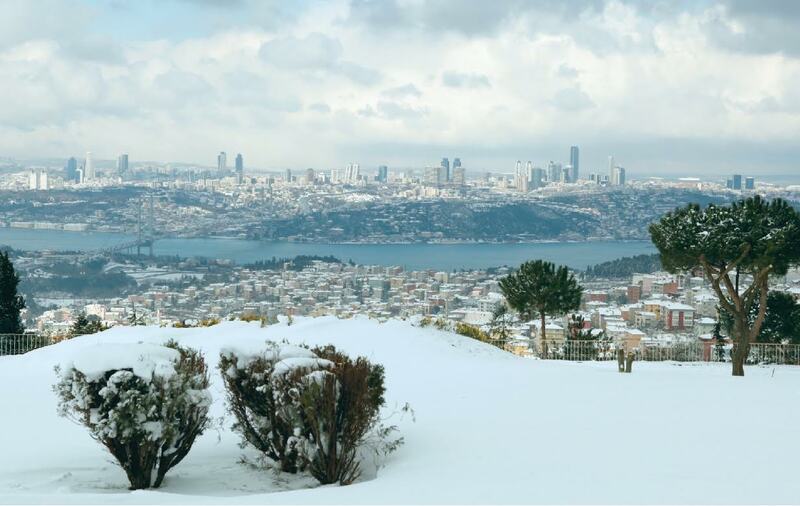 The city has always been known for having one of the world’s best cuisines and being a great tourist destination which provides amazing and genuine Turkish hospitality. It is also the largest in Turkey is known for its must see sights, incuding “The Blue Mosque” a global tourist attraction, the Grand Bazaar which showcases a good amount of Turkish antiques, gadgets and souvenirs for tourists to pick from, among other key attractions. ** Turkish Airlines reserves the right to make changes in this regard. Established in 1933 with a fleet of five aircraft, Star Alliance member Turkish Airlines is a 4-star airline today with a fleet of 333 (passenger and cargo) aircraft flying to 291 destinations worldwide with 242 international and 49 domestic. According to the 2016 Skytrax survey, Turkish Airlines was chosen as “Europe’s Best Airline” for the sixth and “Best Airline in Southern Europe” for the eighth consecutive time. Having won in 2010 the world’s “Best Economy Catering Service”, in 2013 and also in 2014 the world’s “Best Business Catering Service”, and “Best Business Class Lounge Dining”, “Best Business Airline Lounge” awards in last year’s survey, Turkish Airlines was awarded again the world’s “Best Business Class Dining Lounge” and “Best Business Class On-Board Catering” prizes in this year’s survey. The Star Alliance network was established in 1997 as the first truly global airline alliance to offer worldwide reach, recognition and seamless service to the international traveller. Its acceptance by the market has been recognized by numerous awards, including the Air Transport World Market Leadership Award and Best Airline Alliance by both Business Traveller Magazine and Skytrax. The member airlines are: Adria Airways, Aegean Airlines, Air Canada, Air China, Air India, Air New Zealand, ANA, Asiana Airlines, Austrian, Avianca, Avianca Brazil, Brussels Airlines, Copa Airlines, Croatia Airlines, EGYPTAIR, Ethiopian Airlines, EVA Air, LOT Polish Airlines, Lufthansa, Scandinavian Airlines, Shenzhen Airlines, Singapore Airlines, South African Airways, SWISS, TAP Portugal, Turkish Airlines, THAI and United. Overall, the Star Alliance network currently offers more than 18,500 daily flights to 1,330 airports in 192 countries.